Today’s blog post is a little different compared to my usual recipe posts. I had mentioned on social media stories that I consume apple cider vinegar on a regular basis. I was flooded with messages as to why? After some time and consideration of whether I should tell the world the details, I decided to write a blog post or two about it. I found it beneficial and think it may be to others as well. If you have been following me for a while you may remember that I experienced high blood sugar problems during my last few pregnancies. During that time, I did a lot of research and studied natural home remedies (because I’m becoming an addict of all things natural, especially as I get older 😉 and I read many good things about the Apple Cider Vinegar benefits. Consumption of Apple Cider Vinegar Cocktail (look out for the recipe in the next post) on a daily basis has helped me resolve these sugar problems. It also helps me to keep my weight down after the crash diets, improved my skin, prevent me from hundreds of flu and cold symptoms all around me, which I will go into a bit more detailed in the next post. So, what is this cloudy golden liquid and what’s so good about it? Apple cider vinegar is made out of crushed then squeezed apples. That liquid then undergoes multiple fermentation processes with an end result of creating vinegar. Vinegar has been used for many household purposes. From cleaning to cooking and preserving food. It is also known as a natural old folks’ medicine that has been used for centuries. It has only 3 calories and very low sugar per tablespoon. This is very low comparing to regular cider. It’s very beneficial to health if consumed correctly and consistently. 1. Kill many types of harmful bacteria. 3. Fight pre-diabetes and Type 2 Diabetes. 5. Lowers cholesterol which reduces the risk of heart disease. 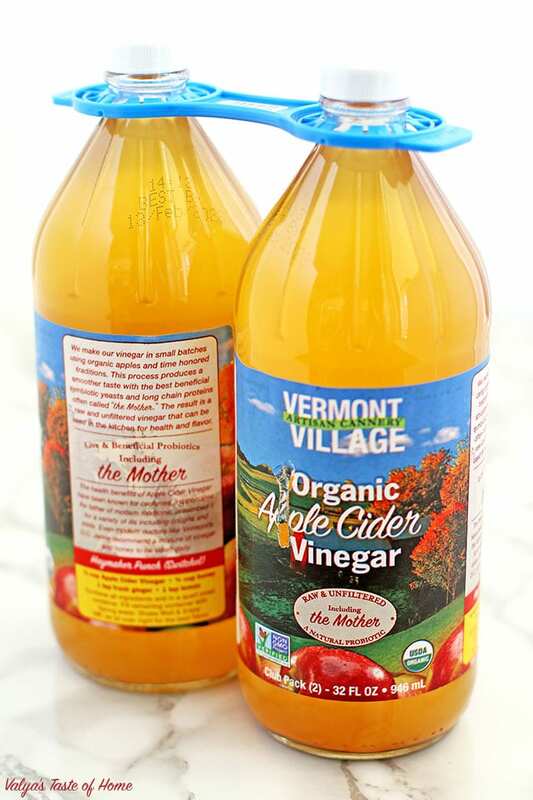 There are multiple types of Apple Cider Vinegar, but the one and only that is beneficial to our health is Raw and Unfiltered “The Mother”. Raw version means that it is unheated and unprocessed. Other kinds of cider vinegar, even if the label says “Organic”, can be harmful to your body. 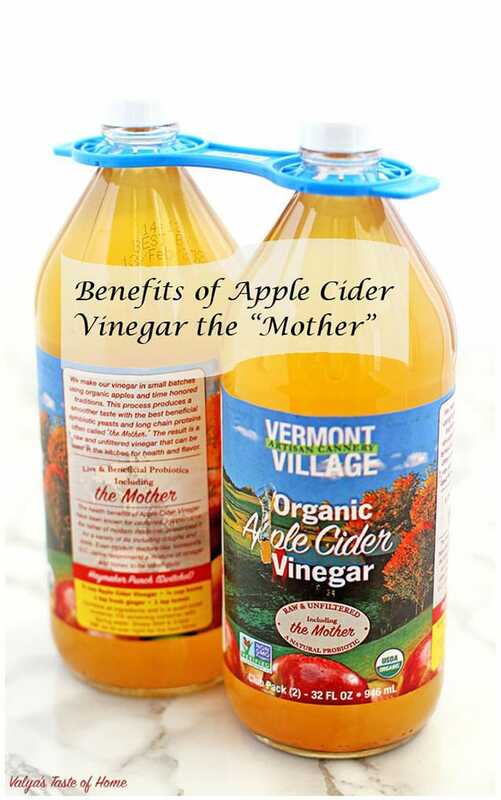 “The Mother” means that the beneficial bacteria, proteins, and enzymes are not removed from the cider vinegar and selves to promote healthy systems in the body as mother nature should. How you use, you take with water,how much? What an interesting blogpost!!! Eager to read the next one on that topic… Personally, I’ve used that kind of vinegar to rinse my hair with, but didn’t notice any results within one months (probably it takes longer than that;) ). Never used it on my hair, but it sure helped me with a fangal toe nail although it turned into orange color. You really have to be consistent with this product. I’ve been using it for close to tree years now. Do you just soak your nail in undiluted AC vinegar Valya? I think I might have a fungal issue with a finger nail. Looking forward to you post next week as well. Yes. 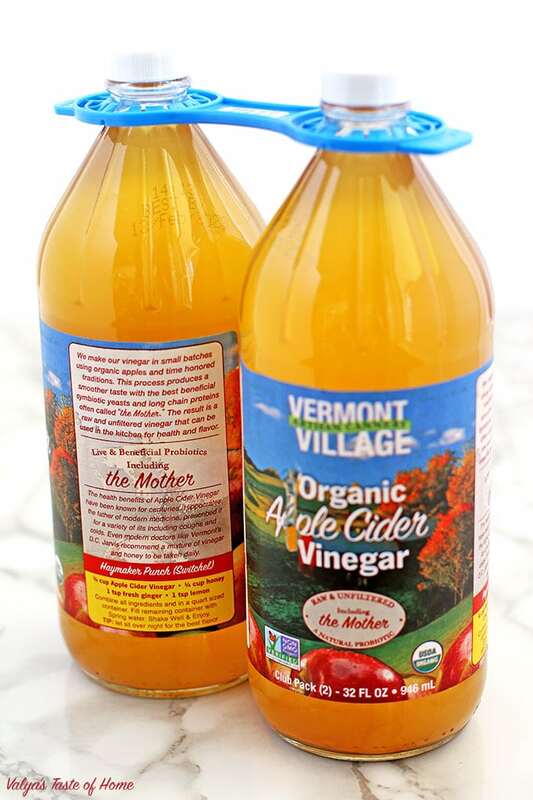 Pour a little of the ACV into a container that has a lid and you will discard after the treatment is done. You don’t need to use a new container for each soaking. Dump the solution after multiple use, and pour a new one in. Store it with a closed lid in between uses. Soak the finger for 15 to 20 min everyday for a couple of months if you see the results then I would continue up to 6 months or until completely new nail grows out. The orange color finger from ACV solution will wash off after you done using it. Thanks Valya. I will try that. By the way what you said about it being good for lowering cholesterol seems to be correct from what a doctor did with a study on it I saw last week on TV. I’m going to be doing it from today and see how I go. Seems important to not drink it straight though and to water a couple of tablespoons down in water. You don’t need to delude it for soaking. Also, you need to watch for allergies and skin irritation. It may work for others but not for you. We are all different. When it gets to drinking, you CANNOT drink it as is. You will burn your mouth and throat. You need to add a tablespoon to a cup of water. Tomorrow I will post a recipe and how to consume it.